White Chickpeas offered by us is a good source of carbohydrates and proteins. We are reckoned among the trusted Suppliers and Exporters of White Chickpeas from Thailand. The White Chickpeas we make available is processed and packaged in neat and hygienic conditions under the guidance of experts. 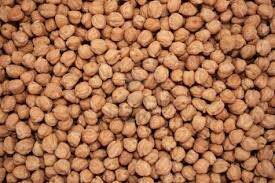 Owing to our reliable sourcing network, we are capable of delivering bulk orders of the Chickpeas within stipulated time.